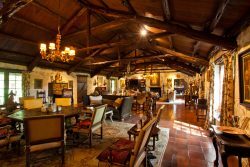 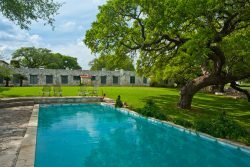 Gallagher Headquarters Ranch spans 1,508 acres of lush Hill Country mountains, clear ambling San Geronimo Creek with its deep lakes and limestone bed shoals, ancient signature Liveoaks, and one of the most historic and well restored headquarters in Texas, all within 20 minutes of San Antonio. 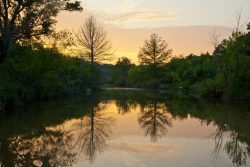 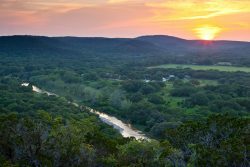 It is located off Bandera Highway 16 west of Helotes across the highway and also adjacent to Government Canyon State Natural Area, a huge vast urban park. 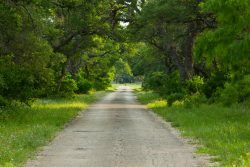 The ranch has a private bridge at the entrance off Highway 16 and a paved road that winds through the trees past the lakes to the headquarters. 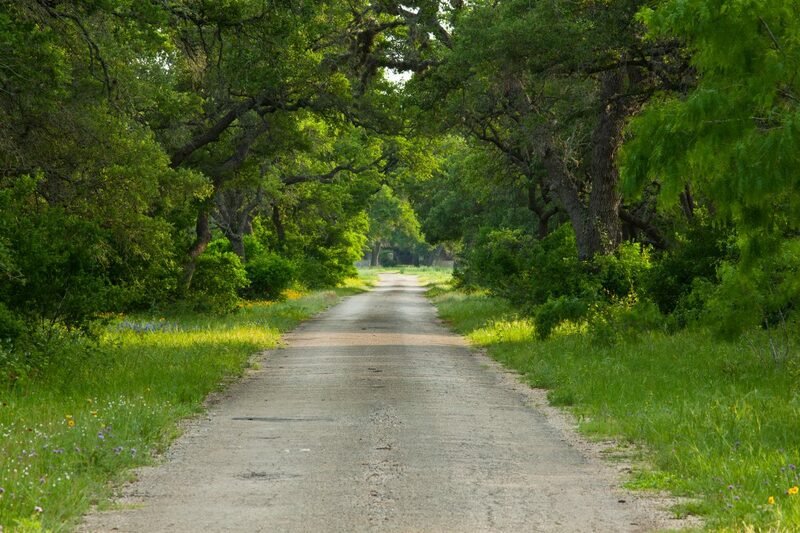 The ranch also has frontage on Highway 211 and a network of internal roads. 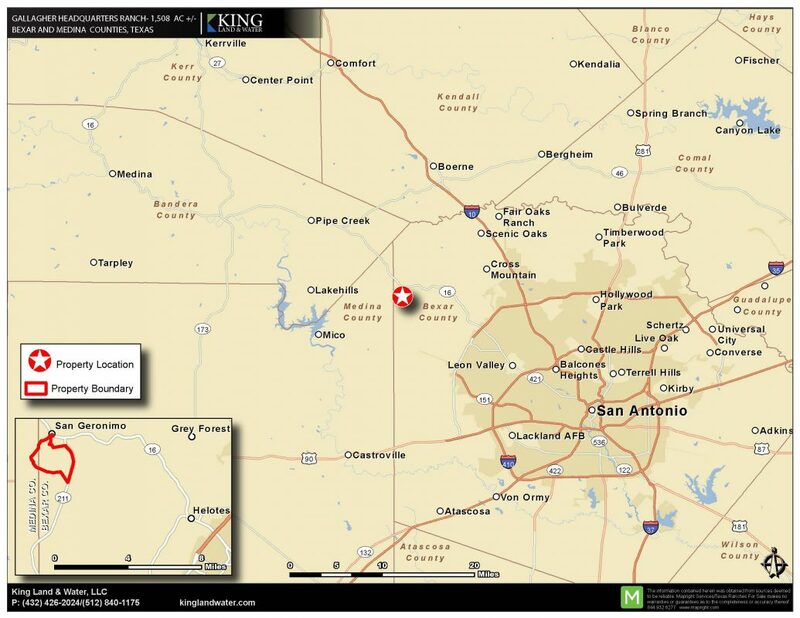 1,508 acres in Bexar and Medina Counties. 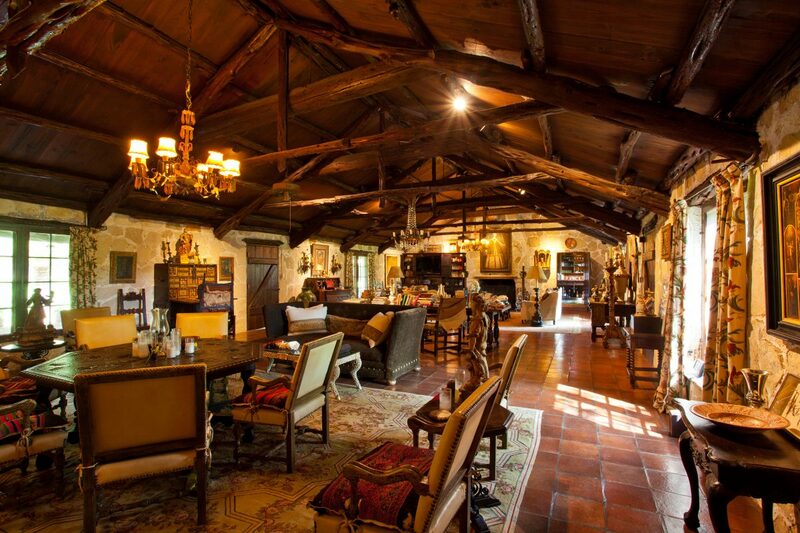 Gallagher Headquarters Ranch is a world all unto itself. An incredibly peaceful and protected setting so close to a metropolitan area. 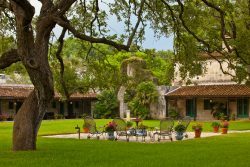 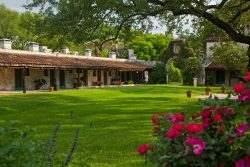 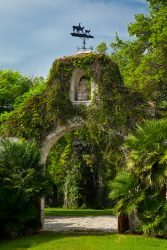 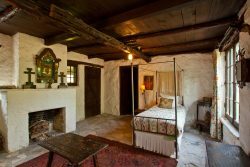 It’s like going back in time both in the natural world as well as the historical buildings as if time stopped in the mid 1800’s when the ranch was founded by Peter Gallagher, an Irish immigrant, brought to San Antonio as a young engineer-master stone mason by Santa Anna. Today with all the modern amenities of a new home this hand cut stone 19 bedroom, 17 and ½ bath historic compound with 22 original fireplaces, sprawling porches, huge manicured lawns and beautiful gardens makes it seem that you are on a working historic Spanish hacienda. 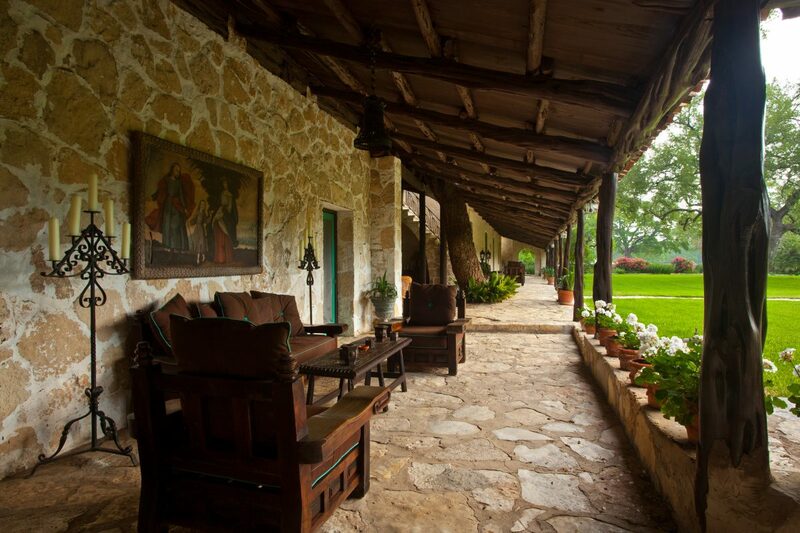 The Ranch has been a gathering place for the owners and their families for over 150 years. 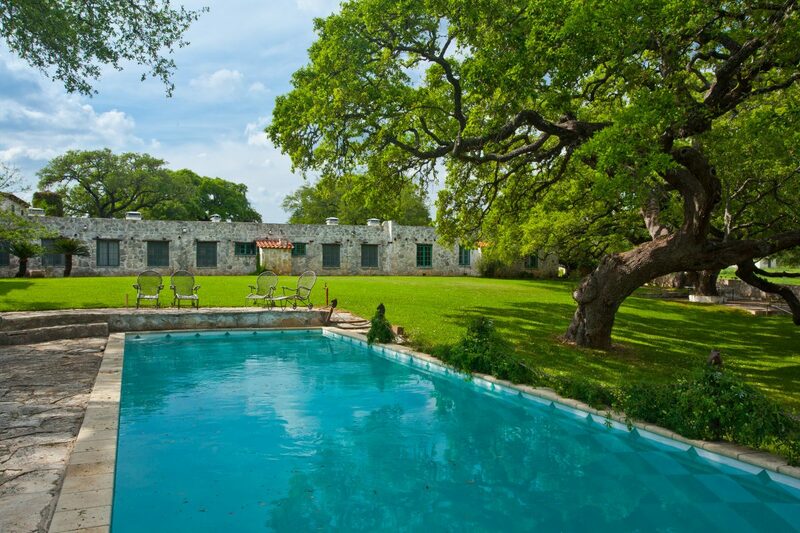 Its headquarters overlooks the clear flowing San Geronimo Creek from a gentle oak shaded rise. 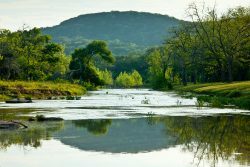 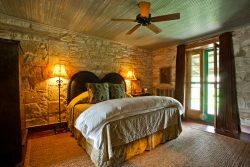 This is Edwards Plateau or Texas Hill Country at its best with stunning live water, deep lakes, high mountains, lush trees, native flowers, and abundant wildlife all within a protected working ranch setting. 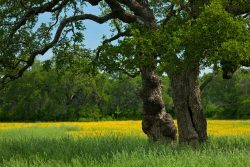 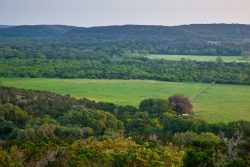 The Gallagher Headquarters Ranch has one Conservation Easement with The Nature Conservancy and two with the City of San Antonio Aquifer Protection Program. These easements allow recreation, hunting, agriculture, and limited development. 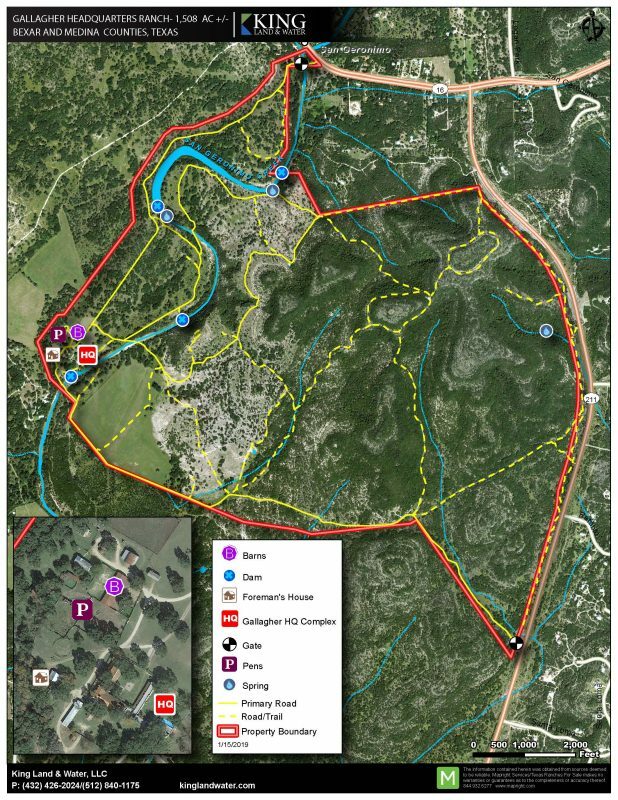 The Headquarters Complex and the 35 acres surrounding the improvements has no conservation easements or restrictions allowing for expansion of infrastructure and improvements. 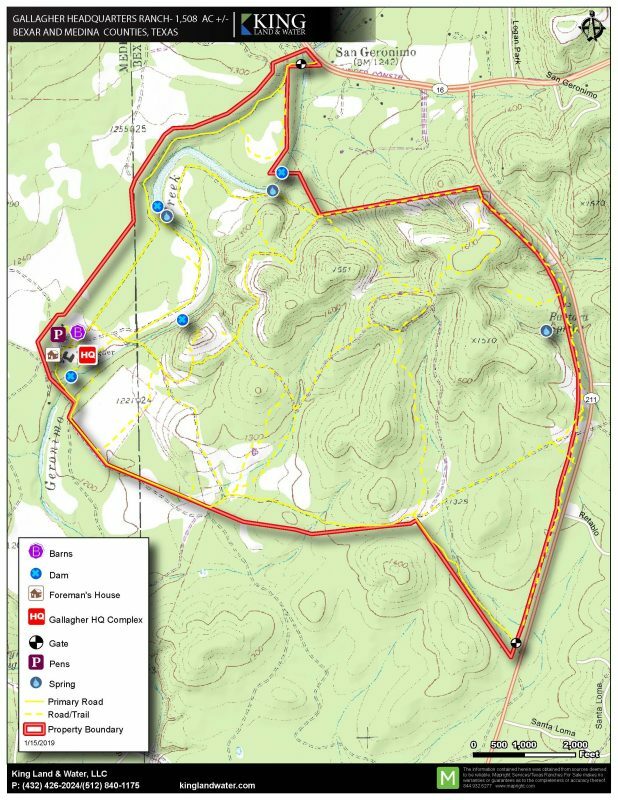 The Gallagher is divided into several districts; San Geronimo Creeks and Valleys, Conservation Hills, and Headquarters Complex. 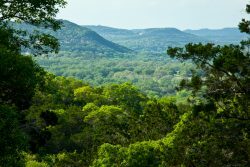 Within these distinct areas one could focus on enhancing development, or further protecting the rich plants, water, and wildlife of the region. 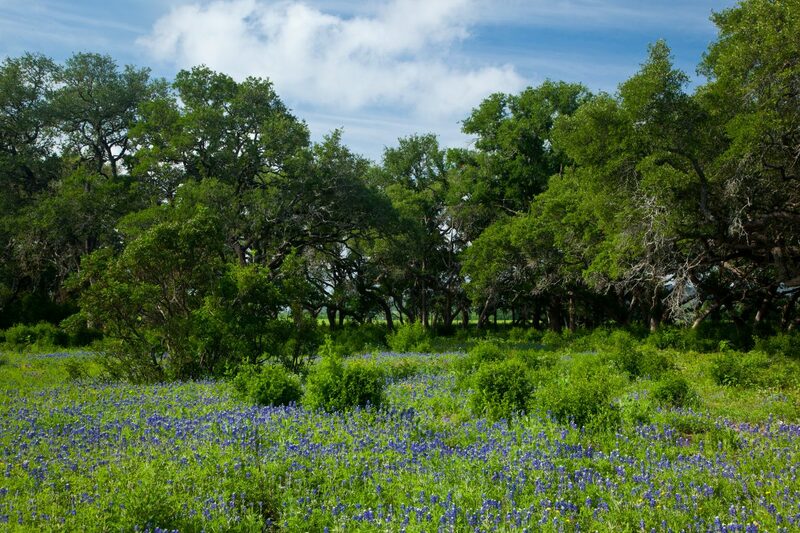 This area comprises of all the San Geronimo Creek and Lakes frontage consisting of 741.881 acres. 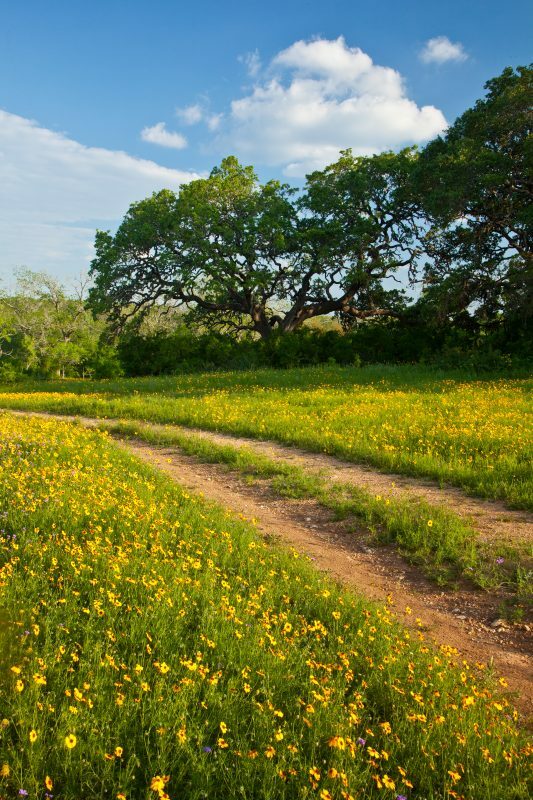 The San Geronimo Creek flows through the Ranch for over one and a half miles. 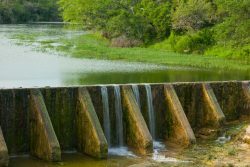 This is a regional creek starting north of the property on very large ranches and runs south with the development of four rock and concrete dams along the way. 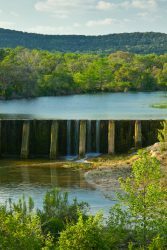 These dams vary in size and back up water into huge lakes or gentle meandering pools with limestone bluffs along the way. 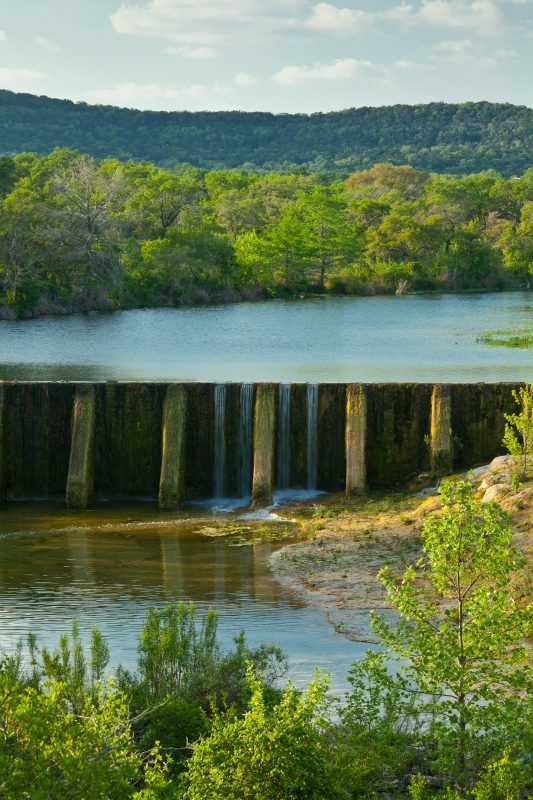 They have been established since the 1850’s and boast some of the largest bass populations in the Hill Country. 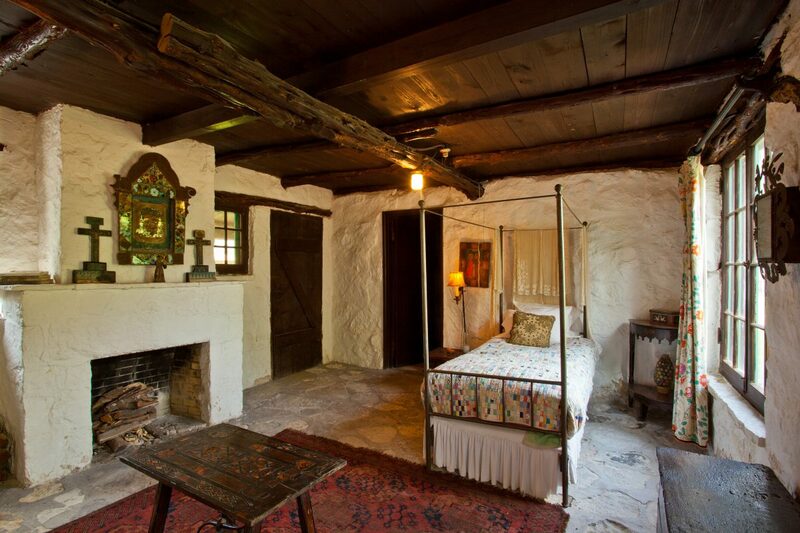 In the mid 1800’s Peter Gallagher undertook a large engineering project. 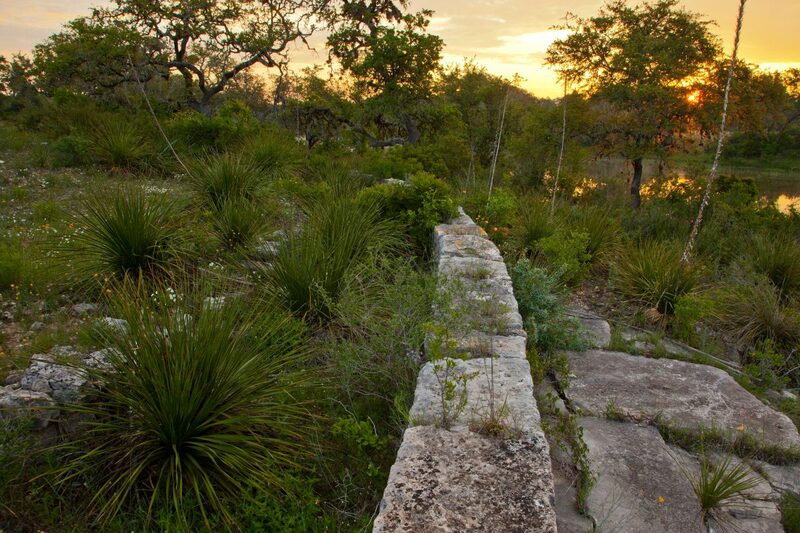 He quarried massive limestone rocks from the surrounding hills to build an Acequia or Aqueduct. It resembles a roman ruin that once delivered water to the area from upstream dams for irrigation of lush fields. 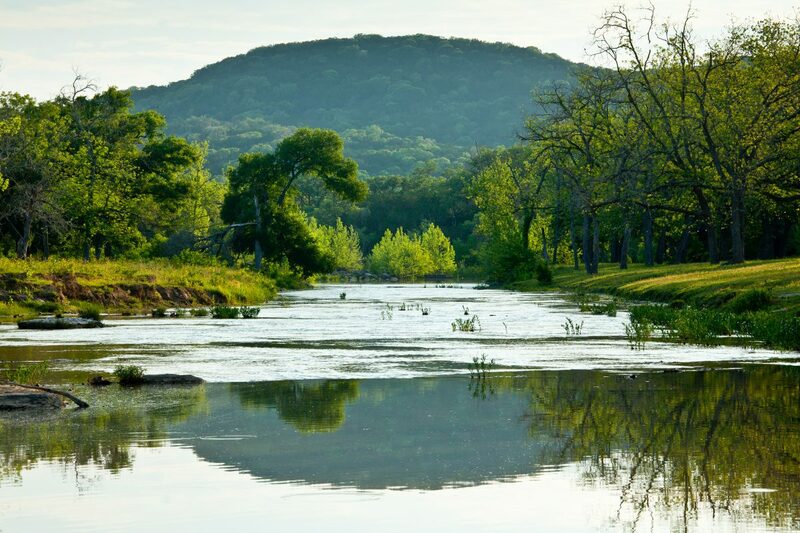 The Creek is bounded on the east by the mountain country creating huge cliffs and bluffs and on the west by a beautiful valley with deep soils, huge trees, and a wonderful diversity of Hill Country plants and wildlife. 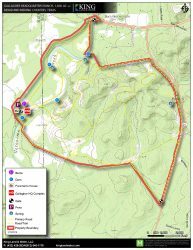 There is a 731 ac conservation easement in the high mountains east of the headquarters that allows limited development while protecting the rare plants and animals in a partnership with The Nature Conservancy. These beautiful tree covered hills have a great road system for hiking, mountain biking, horseback riding, or just cruising in a jeep in a wooded wonderland. 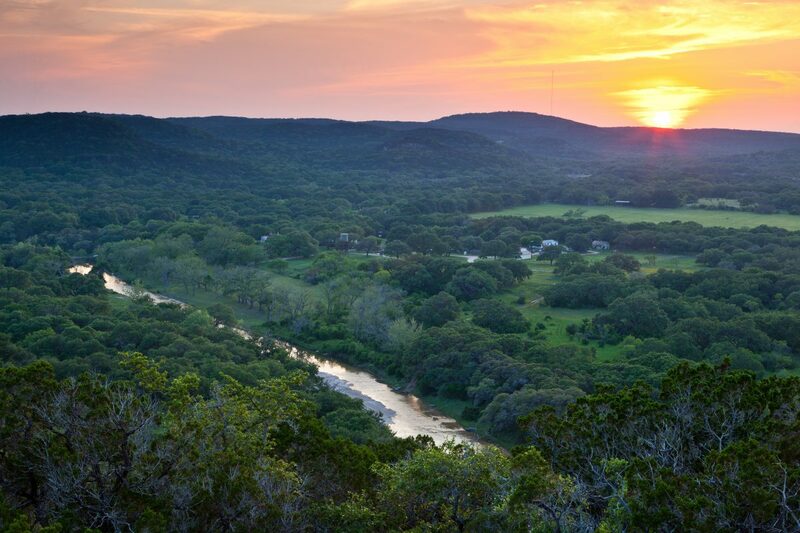 Adjacent to the Ranch and across the highway is a huge 11,576 ac State Natural Area called Government Canyon, one of the largest urban parks in the country. In all, the conservation values of this land are unequaled, and the amazing habitat is home to a wide diversity of songbirds, game, and all kinds of native plants and animals. 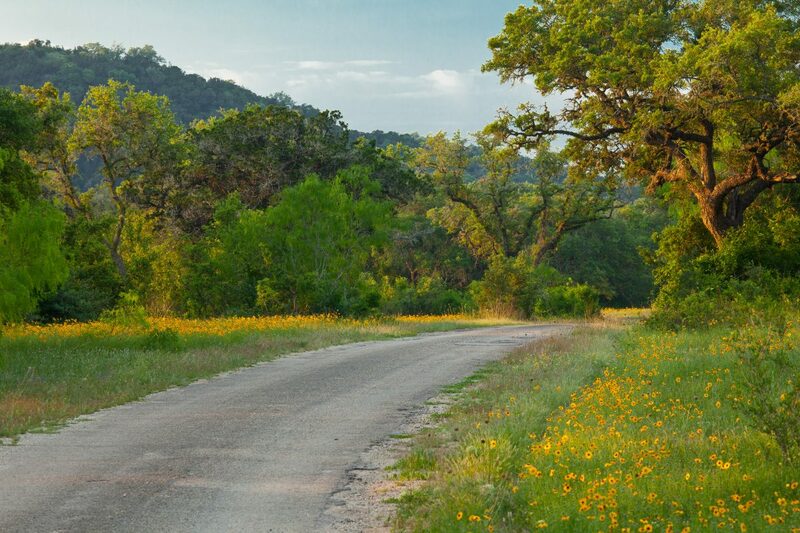 Spring migration of neo-tropical birds are stunning including the vermillion flycatcher, painted bunting, golden cheeked warbler, hummingbirds, and many more. 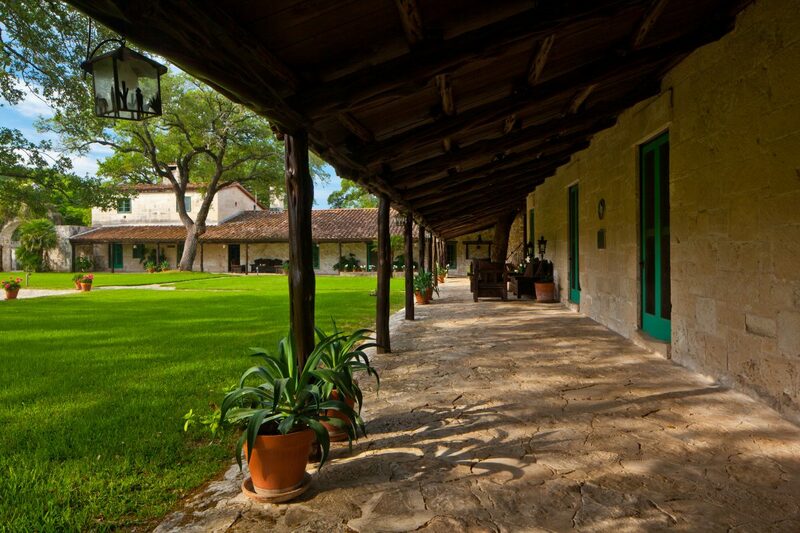 The Headquarters are a complex of main rock buildings, barns, corrals, outbuildings, and staff quarters. 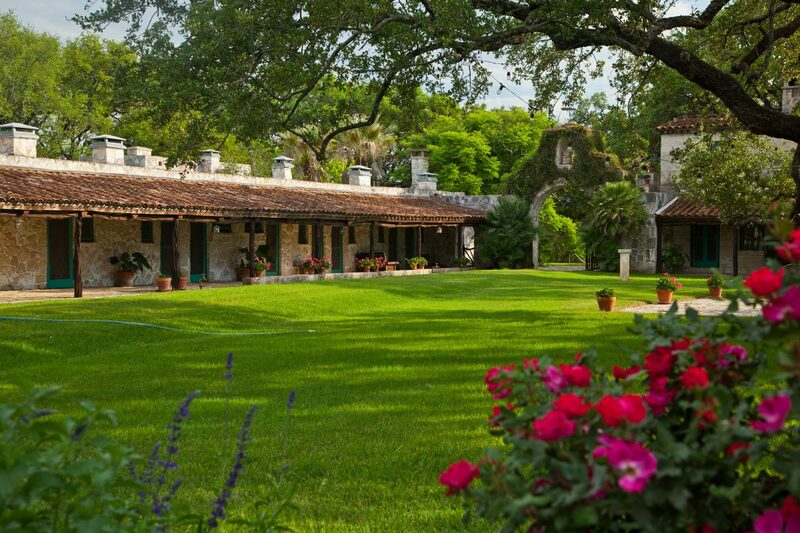 Peter Gallagher built the original fortress house in the 1830’s which over the past 150 years grew into a sprawling complex, constructed of matched limestone blocks quarried from the ranch, meticulously restored by the current owner. The complex is the hub of the ranch with its houses, barns, outbuilding, gardens, lawns, and its many outdoor entertainment areas, perfect for the enjoyment of the owners’ guests and housing for the ranch employees. -19 bedrooms currently configured with three suites and 13 bedrooms…..8 have been restored, 17 1/2 baths. 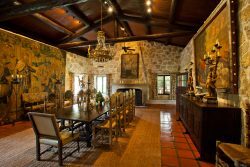 -Living Room is 30′ x 60′ with two great fireplaces and wet bar. -Formal Dining room that measures 20′ x 30′. 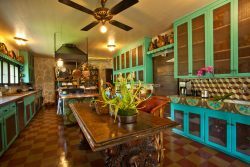 -Modern kitchen with large porch. 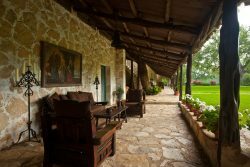 -Outdoor covered entertainment area with fireplace. -Numerous flower, vegetable, and herb Gardens, greenhouse. 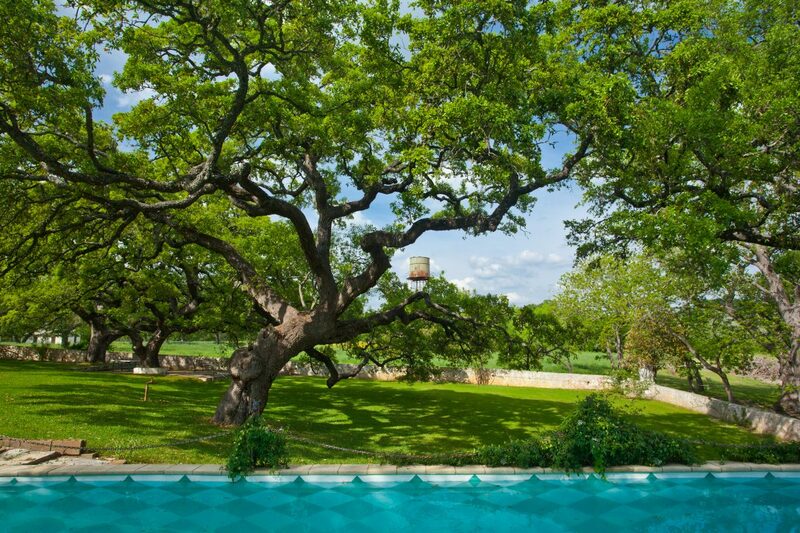 -Casita with 3br one bath under huge oaks. 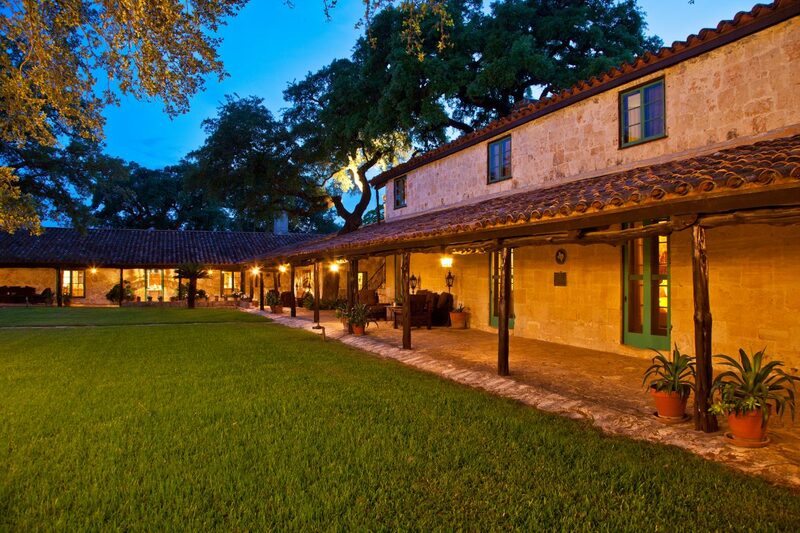 -Horses Barn with 15 stalls. -Center bay for grooming and saddling. -Large clean Quonset Hut Barn. 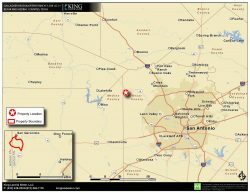 -Outbuildings for equipment, tools, and supplies. 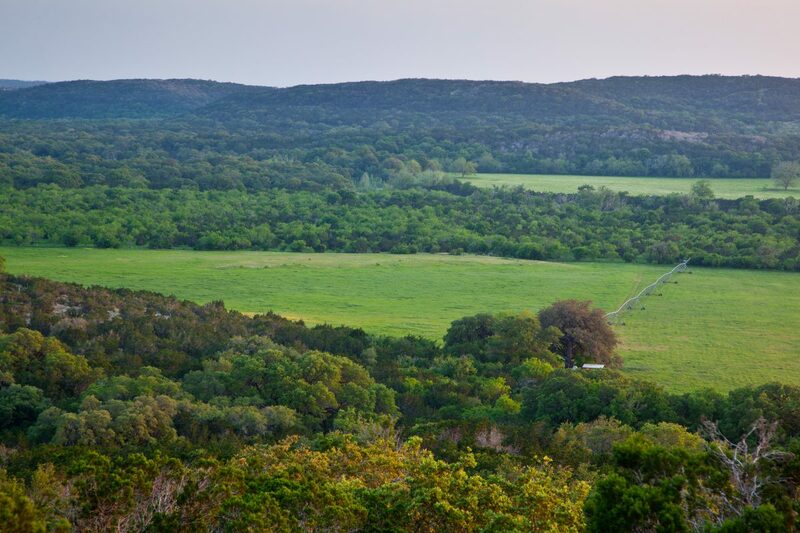 The Gallagher Headquarters Ranch is a working cattle ranch and a grass farm. 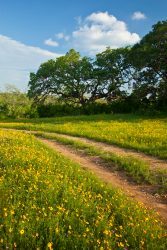 The Headquarters has a set of working pens and there are several pastures to move and work the small heard of Black Angus Cattle and stable horses. 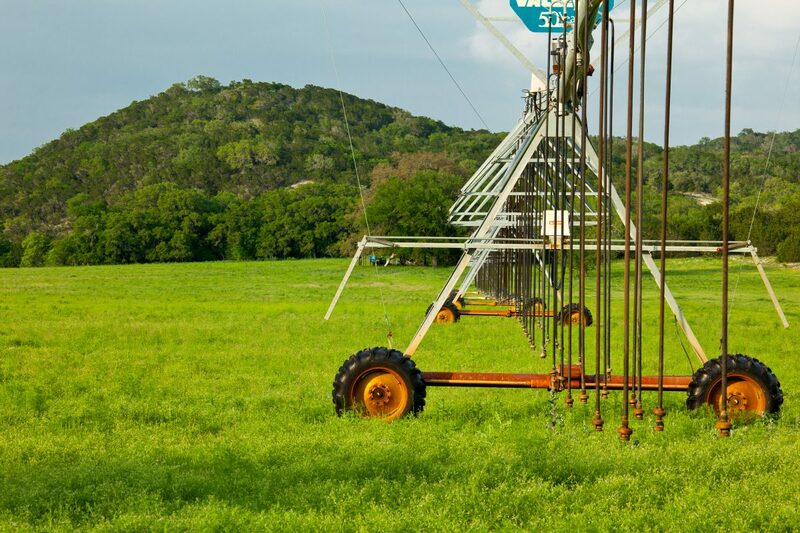 There is a 60 acre hay field of Coastal Bermuda under a center pivot irrigation system. There are two other active wells that serve the Complex, pastures, and other facilities on the ranch all in excellent working order. 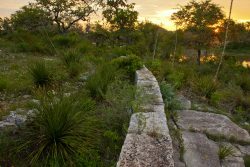 There is also one well that is currently not in use, and there are numerous seeps and springs around the ranch and within the canyons including Pastora Spring listed on the USGS map. 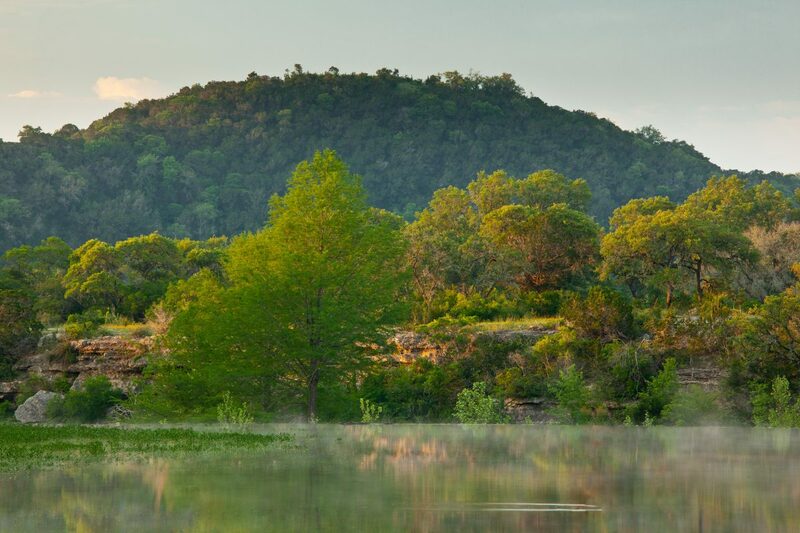 A small dirt tank surrounds a seep providing water for wildlife. San Geronimo provides additional year round water through the heart of the ranch. The Ranch operation also boasts many recreation uses like hunting, fishing, canoeing, hiking, riding, biking, photography, birding and other outdoor adventures. 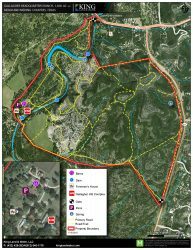 There are four hunting blinds and feeders with bulk storage located and the Barn complex. 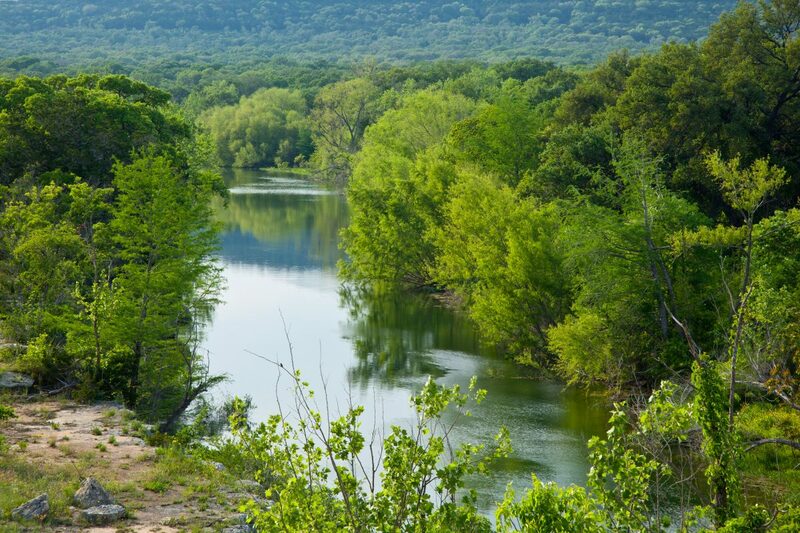 Rio Grande Turkey, Whitetail Deer, and world class fishing makes this a sportsman paradise.